Our extensive range of automatic doors are designed to offer functional precision at entrances to all types of buildings. Our product range includes auto sliding pedestrian doors and automatic swing pedestrian doors ideal for all types of buildings such as office blocks, banks and hospitals etc. 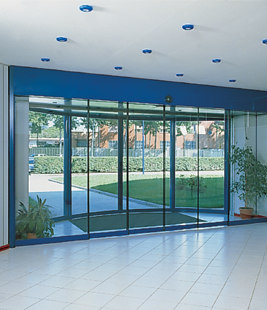 Ensure functional precision entrances to banks, office blocks, municipal buildings, hospitals and shops etc with sliding and automatic doors, appropriate where manually operated doors are less practical. Self learning micro controllers co-ordinate the smooth and quiet movement of the door leaves. Full consultation to include expert advise on D.D.A regulations and requirements. 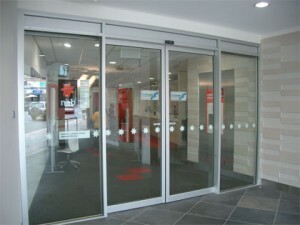 Are the ideal solution where automatic doors are required without a major undertaking to achieve. Fits over existing/new doors with all safety protection included. Full consultation to include expert advise on D.D.A regulations and requirements. 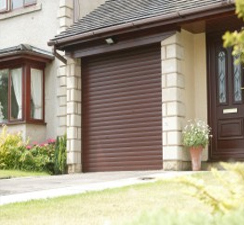 Prestigious door systems that can enhance your building and maximise on heat saving in large areas. They form an elegant and refined entrance that is well integrated into the structure of the building. All Automatic Doors conform to BS7036 and the Disabled Discrimination Act (DDA). The latest in digital microprocessor technology, giving the control unit multiple programmable modes including provision to interface with building security system, monitoring the doors position status, built-in UPS. The microprocessor operating parameters can be adjusted to accommodate various climatic conditions and specific site requirements in relation to speed, braking etc. Safety is a priority: The microprocessor will automatically reverse operation in both opening and closing should the doors be obstructed. Photoelectric safety light cells mounted to focus across the doorway with halt operation immediately upon beam interruption. Here, at GB Entrance Engineering Ltd. we offer installation, repairs, and maintenance services for every product we manufacture. Some of the towns and counties we currently work in are Wrexham, Leeds, Doncaster, Cheshire, Blackburn, Liverpool, Yorkshire, Sheffield, and Lancashire. Call us any time, to discuss your entrance needs.